Acer rubrum - October Glory Lipstick Maple Red Maple Tree is an excellent specimen tree with late red autumn foliage colour. When the leaves turn they become a wonderful background tree. Well suited to larger gardens, street and public parks and public gardens. Form: Acer rubrum - October Glory Lipstick Maple Red Maple Tree has an oval - rounded. canopy. Foliage: Glossy, dark green five-lobed leaves with red petioles and a greyish underside. 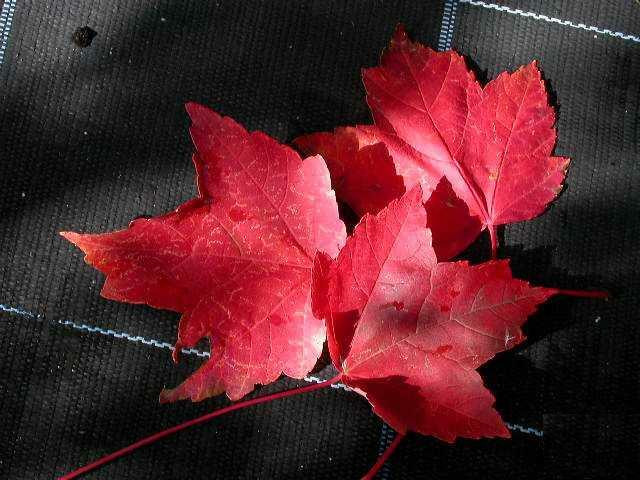 Autumn colour: a dark pinkish-red then vivid red. The leaf undersides become greyish-pink. Bark: Thin, dark grey and roughly textured. Lipstick maple's young twigs are a briliant bright red. Tolerances: October Glory Lipstick maple adapts to a wide range of climatic and soil conditions including moderately wet soils. It is also tolerant to air pollution and compaction. 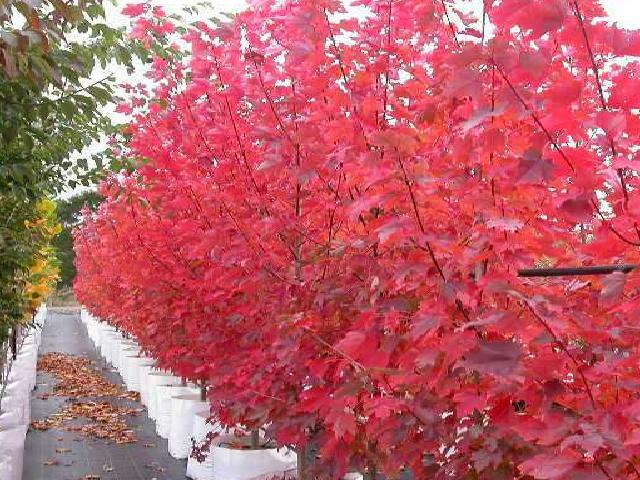 Landscape use: Acer rubrum - October Glory Lipstick Maple Red Maple Tree makes a great specimen tree, but is also suited to multiple plantings along a drive or avenue.